These offers are free with the purchase of the SCOTT Sub Cross 40 (2017) Bicycle. The SCOTT Sub Cross 40 (2016) is a Hybrid Bicycle , which comes with a Sub Cross Alloy 6061 Frame. The Sub Cross 40 (2016) comes with a Shimano FD-M370 Front Derailleur and a Shimano Alivio RD-M4000 Rear Derailleur. 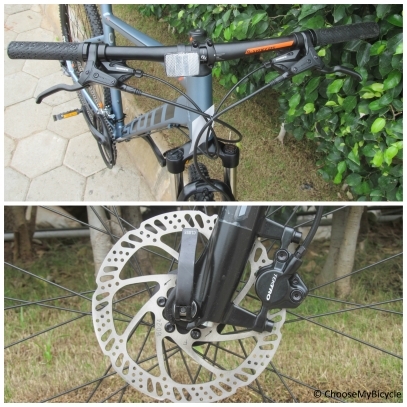 Shimano SL-M370- 9R Rapidfire Plus shifters control the drivetrain. 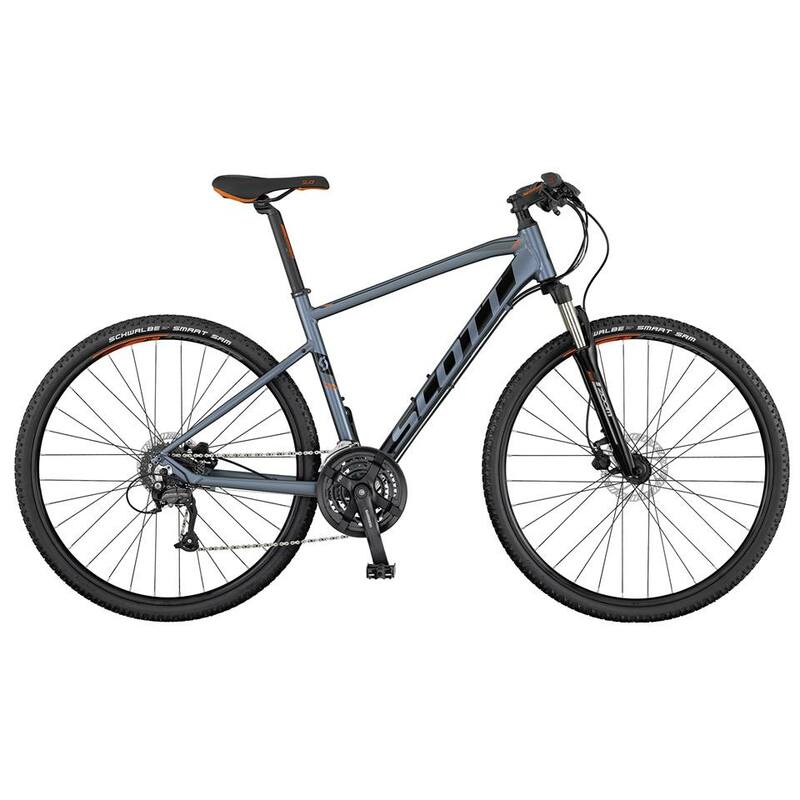 This Hybrid from SCOTT comes with Shimano BR_M370 Hydraulic Disc Brakes with 160F/160R mm SM-RT20 CL Rotors, which are connected to Shimano BL-M355 Brake Levers. 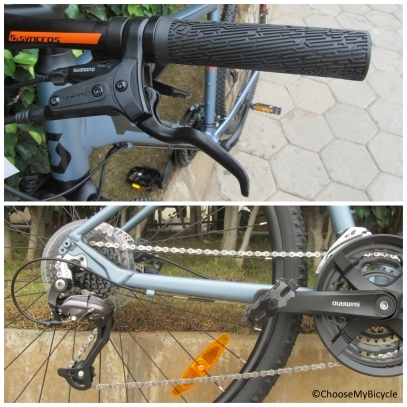 The SCOTT Sub Cross 40 comes with a Suntour NEX-HLO, Lockout Suspension Fork with 63mm Travel. The Wheel size of this cycle is 26". The tires on the SCOTT Sub Cross 40 are Kenda K180, 700 x 38C tires, and these are fitted on to Syncros X-39 Disc, 32H, Black Rims. The Price of the SCOTT Sub Cross 40 (2017) is Rs.36000. The SCOTT Sub Cross 40 is a mid level hybrid that is well suited for men and women riders; due to itÍs tapered top tube and geometry. It comes with the a front suspension to tackle bad city roads, along with the 700 * 38c tires which are ideal for urban commute and spirited fitness riding. Scott have also thrown in a hydraulic disc brake to help with stopping in extreme road and weather conditions. he Sub Cross 40 is inching close to be an all-round bicycle. With possibility of taking it on flatter trails and uneven surfaces to tarmacs for touring and general commuting this bicycle can do it all. Even though the gearing department could have gone with better components for this price, the current Shimano group set donêt let you down. Priced at Rs.36,000 the Scott Sub Cross 40 2017 is the perfect Hybrid bicycle for anyone looking for performance on varied surfaces and distances. 2. In what condition will I get the SCOTT Sub Cross 40 (2017)? 6. How will I know if SCOTT Sub Cross 40 (2017) will fit me without riding it? 7. How long will it take for me to receive the SCOTT Sub Cross 40 (2017)?